It does -- and doesn't -- seem that it has been a decade since the turmoil and triumph in Beijing. "It's insane to think it's been that many years," said Samantha Peszek. "A part of me feels like it was a different life, a surreal dream. And part of me feels like it was yesterday." Nastia Liukin remembered preparing to march into the Olympic gymnasium in front of 20,000 spectators, almost all of them rooting for the home team. "That moment was one of my favorites, standing in that tunnel waiting to walk into the arena," she said. "There truly was this electric energy I've never felt anywhere else." Jonathan Horton recalls watching Sasha Artemev go up on pommel horse with a team medal on the line and perform the routine of his life. "That was one of the greatest performances I've ever seen in the sport of gymnastics," he said. 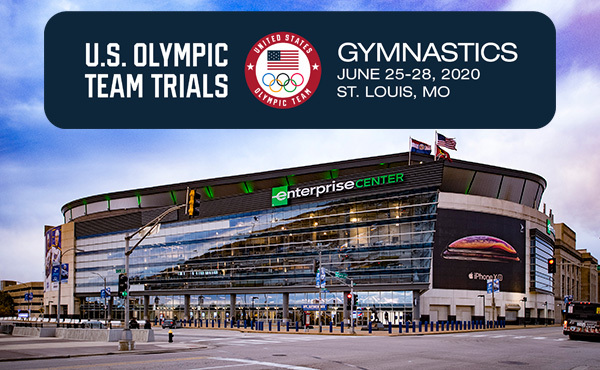 This week at the U.S. Championships at Boston's TD Garden, the 2008 U.S. Olympic Gymnastics Teams will be honored on the 10th anniversary of their dual achievements, marking the only time that both the men's and women's entries made the podium at consecutive Games. 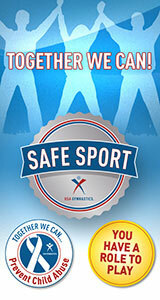 There were no Olympic veterans on either of the American squads in 2008. Yet the men, with two alternates in the lineup, won the bronze. "For all of us guys that was probably the best time of our life," said Joe Hagerty. "We came together as a family and brothers to overcome a lot of obstacles." "I consider my Olympic teammates as family," said captain Alicia Sacramone, who recently gave birth to her second daughter. "We will always share this special bond of achieving and experiencing something truly special." 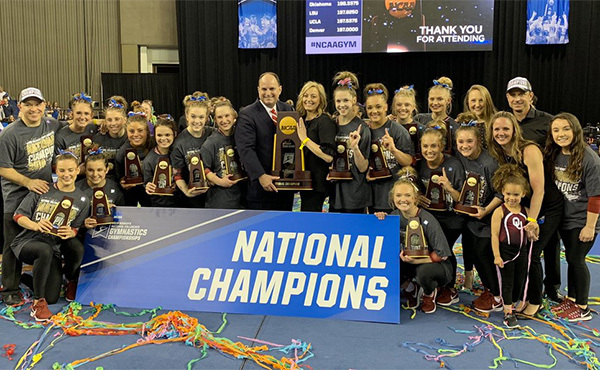 Four of the women -- Sacramone, Liukin, Johnson and Peszek -- had competed on the previous year's team that won the World title on the final rotation and collected half a dozen individual medals, three of them gold. "The timing of Chellsie's and Sam's injuries was unfortunate," said Sacramone. "That's the thing with gymnastics. Anything can happen at any time that throws a wrench in your well-rehearsed plan." Memmel, who'd missed the 2004 Games with a broken foot, had gone through an arduous rehab to get back into contention for a roster spot. "That was a trying, tough time, a lot of days of trying to remember what the end goal was -- to make an Olympic team," she recalled. "That's what carried me through those really hard days." Her exuberance at making the 2008 squad was tempered when she hurt her right ankle on a tumbling pass. "I was walking gingerly," said Memmel, who later learned that she had broken the ankle. "I could feel it with every step." Meanwhile, alternates Corrie Lothrop, Jana Bieger and Ivana Hong were ensconced in Japan, ready to hop on a plane should the call come. "That was really hard because we felt so detached from the rest of the team," said Lothrop. "We felt like we were part of the team but also we didn't quite feel like we were part of the team because we were in a completely different country." "It happened so fast," said Peszek, who was given a cortisone shot to get her through her only appearance. "Pretend it's not there and deal with the pain later. It was such an in-the-moment thing. So that was my new role -- I'm going to be the best teammate I can be and the best cheerleader." "We are all proud of our team silver medal," said Sacramone. "We knew going against the Chinese team on their home court was going to be tough, and we did our best with the challenges that faced us." 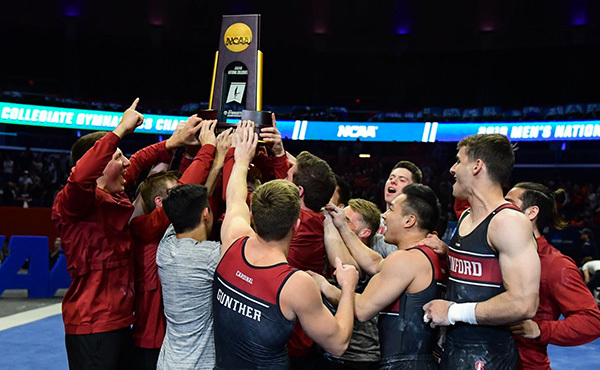 The rest of the meet belonged to the Americans, specifically to roommates Liukin and Johnson, who won all seven of the team's individual medals and went 1-2 in the all-around. "That was the first time that Team USA had ever done that, and we knew that and so we were so, so proud," observed Liukin, who joined Mary Lou Retton and Carly Patterson as the only U.S. women to claim the crown at that time. "It was obviously a little challenging because we both wanted the same thing. We knew only one of us was going to come away with the gold." The day belonged to Liukin, who won by six tenths of a point on the strength of her bars routine. "From the second I woke up, I had this sense of calmness and confidence that I typically don't have," she recalled. "I'm normally very nervous. It was a feeling I've never had in my life -- 'I'm supposed to be here. This is the right place and the right time. Now all I need to do is do it'. I remember waking up and telling myself, ‘When I come back here to our room no matter what the outcome is you should be very proud of yourself.’"
Liukin went on to win silvers on beam and bars and bronze on floor while Johnson prevailed on beam and was second on floor. "We were both absolutely exhausted," said Liukin, "but it was an amazing way to close out that month in China for both of us." For the U.S. males, making the team podium was an achievement. 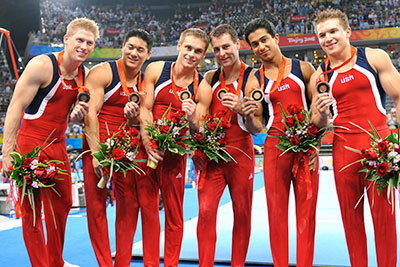 After winning silver in 2004, they took an enormous tumble at the 2006 Worlds, finishing 13th. "From then on. it was us saying, ‘Never again,’" said Kevin Tan, who captained the 2008 squad. "When you have people like Paul and Morgan, you feel like you can do anything," said Horton. "Then we lose both of those guys and everybody thinks, well, these guys have no shot. If they can even make it into the team final, it'll be impressive. We were a group of rookies. Nobody believed in us except us." Bhavsar had been close enough to making the Athens team that he was willing to risk consecutive disappointments by trying for Beijing. "That was a tough period, honestly, being a second-time alternate," said Bhavsar, who was 27 in 2008. "I had gone into this telling myself that regardless of the outcome that I was going to be okay. In 2004 I can't say that I had that outlook. That's what made the training doable." Bhavsar got the call to replace Paul just before the team headed to processing in California. Artemev got word the day before qualifying that Morgan withdrew. "I had to stay ready regardless, because I know anything can happen in this sport," he said. "Injuries happen all the time." It was Artemev who packed his bags and headed crosstown to Olympus. "My favorite moment was watching Sasha move into the village the night before," said Spring. "Hey, man, welcome to the Olympic team. 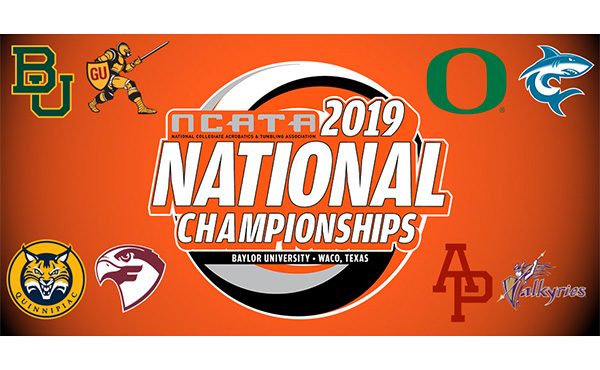 We compete in less than six hours. See you in the morning." Artemev, who said it was “nerve-wracking” just walking onto the floor, ended up making it to the all-around with Horton. His teammates, who qualified sixth, were jittery, too. "The day before finals I looked in everyone's eyes and you could tell that there was a little bit of uncertainty there," said Tan. So he called a meeting and the squad met on the dormitory balcony and unburdened themselves. "It was an attitude of sure we're scared, sure we don't want to let anyone down but who cares? Let's go!," recalls Horton. "Whenever you're down and out and no one believes in you, there's that chip on your shoulder like, ‘I'm about to prove something big.’ And that's what drove us." 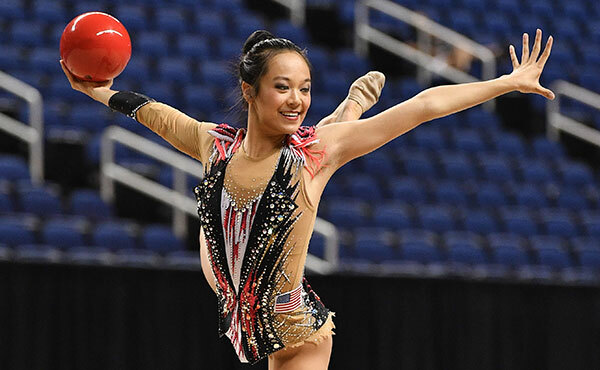 After a promising start on still rings, the Americans submitted solid efforts on vault and parallel bars. "We had so many stuck landings," said Hagerty. "We felt like we were possessed that day. Like somehow the ground was just there and you weren't moving." 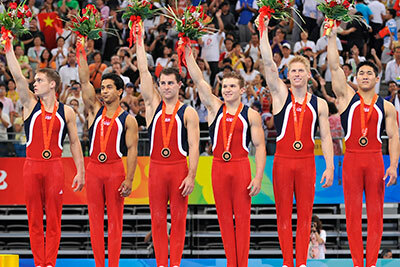 When the U.S. was in second behind the Chinese on high bar, a podium finish seemed likely. "That's when it started to be a bit of a reality," said Bhavsar. "Hey, we're on to something!" The final two events - floor and horse -- were the team's weakest. "But we had given ourselves enough of a buffer that if we didn't have a nightmare horse rotation, we could walk away with a team medal," said Spring, who was competing on a damaged ankle but was pressed into service to replace Morgan Hamm on floor. While Artemev was by far the team's best horse man, he traditionally had been hit-or-miss. "Which Sasha is going to show up today?" wondered Tan. An inspired one, as it happened. "I was going to stay on no matter what," Artemev vowed. "If I was going to have to hug that pommel horse, I was staying on." Having his teammates urging him on from the bench helped. "I perform better with the team behind me than individually so it felt natural," Artemev said. "These guys made me go back into my comfort zone. I truly believe that without them, I wouldn't have had that performance." If he got through his flair sequence without fault, Artemev figured that he'd be fine and he was. "It was more than we could ever have expected from him," said Hagerty. "To wait around for hours to do one routine and nail it. Man, we were on the edge of our seats watching Sasha." "It was a story of a team coming together and performing at their best when it mattered most," said Spring. "I ask myself all the time, if we hadn't been thrown this outrageous set of circumstances, would we have competed as well as we did? There's so much strength and power and unification that can come from getting knocked down. Our team was challenged again and again and again and that's why I believe that when it mattered most we crushed it." 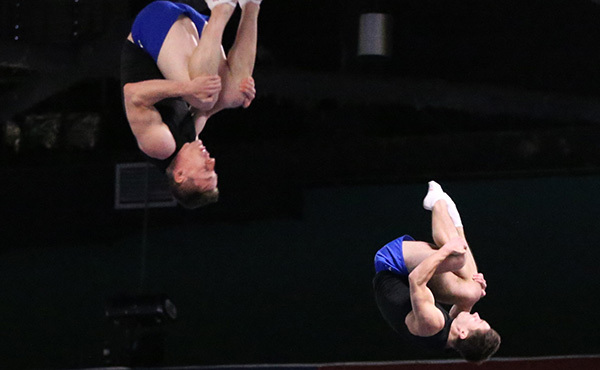 The euphoria continued into the event final where Horton amped up his high bar routine and collected a silver medal. "I've got nothing to lose," he told himself. "Nobody expects me to do anything, so I'm just going to go big. I knew if I did my normal routine I would have gotten seventh or eighth." As he powered through his set, Horton marveled that he was still airborne. "I can't believe I'm still on," he remembered thinking. "I can't believe I haven't hit the mat." A decade later Horton and most of his teammates will be in Boston to reminisce not only about their five-ringed exploits but also to commemorate their shared experience. "We're all still brothers," Bhavsar said. "We all carry that same team mentality. We are that '08 team for the rest of our lives. It's really, really cool."